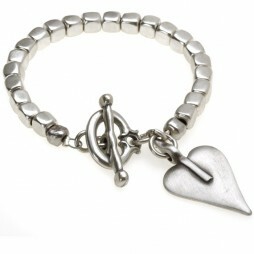 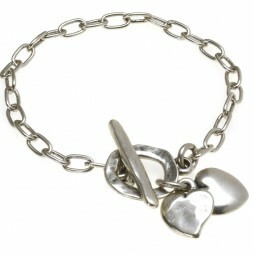 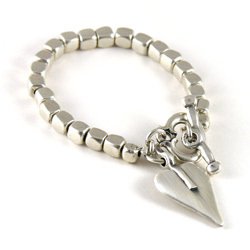 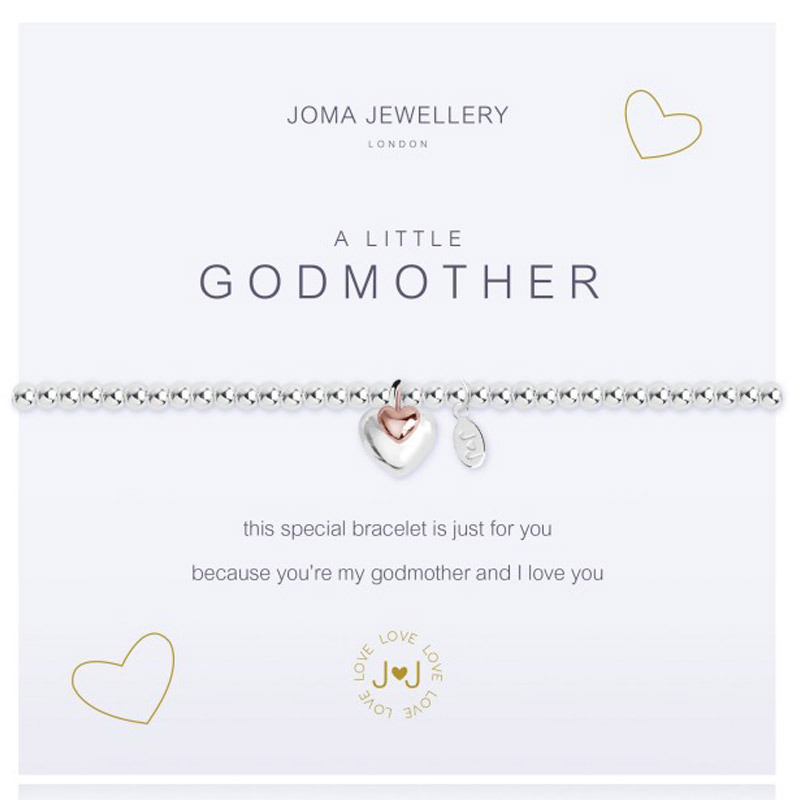 This Joma Jewellery a little GODMOTHER Silver Bracelet is the perfect keepsake gift for your lovely godmother, with the words “this special bracelet is just for you because you’re my godmother and I love you”. 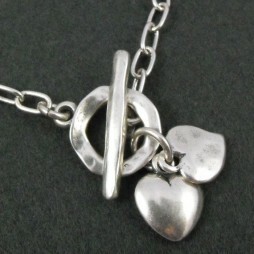 Hand crafted silver plated Tiny silver beads strung with elasticated silk and a double heart charm, one is silver and the smallest one in rose gold. 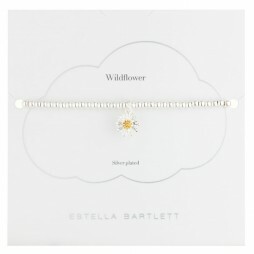 Beautifully presented from Lizzielane on a simple white Joma Jewellery card and placed inside a stylish Joma gift bag with white silk ribbon bow – the perfect gift for a loved one or little treat for yourself. 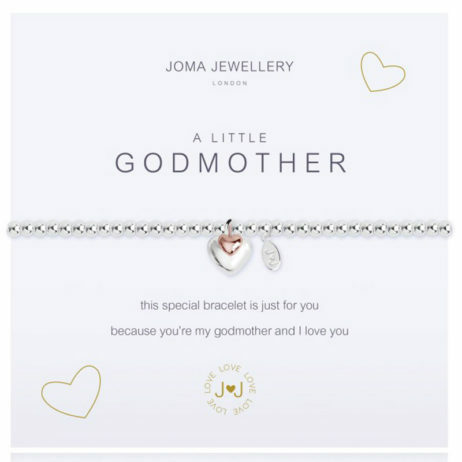 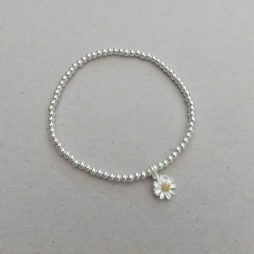 Christening Gifts, Gifts By Occasion, Joma Jewellery a little, Joma Jewellery New Collection, New Baby Gifts, Gift Ideas, Gifts £0 To £20, Bead Bracelets, Bracelets, Silver Bracelets, Joma Jewellery.